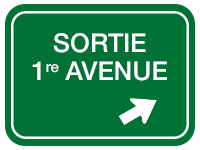 TRACTION INTÉGRALE, TOIT-OUVRANT, CAMÉRA DE RECUL AVEC SYSTÈME D'ALERTE DE CIRCULATION TRANSVERSALE, MONITEUR D'ANGLES MORTS, SYSTÈME DE MAINTIEN DE VOIE AVEC ASSISTANCE À LA DIRECTION / PRÉ-COLLISION, AUDIO LEXUS ENFORM AVEC MONITEUR CENTRALE DE 8’’ / AM / FM / CD / USB / BLUETOOTH / RADIO SATELLITE SIRIUS XM INTÉGRÉ À 8 HAUT-PARLEURS, INTÉRIEUR CUIR, SIÈGES AVANT ÉLECTRIQUES / CHAUFFANTS ET VENTILÉS, SIÈGE CONDUCTEUR À MÉMOIRE, VENTILATION AUTOMATIQUE BI-ZONE, VOLANT DE CUIR / CHAUFFANT ET AJUSTABLE ÉLECTRIQUE AVEC COMMANDE DE CHANGEMENT DE VITESSE / COMMANDE AUDIO / BLUETOOTH ET RÉGULATEUR DE VITESSE DYNAMIQUE À RADAR, SYSTÈME SMART KEY, DÉMARRAGE À BOUTON POUSSOIR, PHARES DE ROUTE AUTOMATIQUE, JANTES LEXUS 18’’ , HAYON ÉLECTRIQUE ET ENCORE PLUS!! 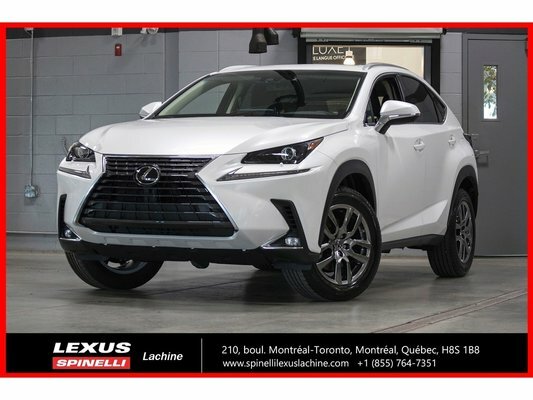 AWD, MOONROOF, REAR BACKUP CAMERA W/ REAR CROSS TRAFFIC ALERT, BLIND SPOT MONITOR, LANE DEPARTURE W/ STEERING ASSIST, PRE-COLLISION SYSTEM, LEXUS ENFORM AUDIO W/ 8’’ DISPLAY / AM / FM / CD / USB / BLUETOOTH / INTEGRATED XM SATELLITE W/ 8 SPEAKERS, PREMIUM LEATHER INTERIOR, ELECTRIC / HEATED AND VENTILATED FRONT SEATS, DRIVER’S MEMORY SEAT, DUAL ZONE AUTOMATIC CLIMATE CONTROL, LEATHER / HEATED / POWER TILT AND TELESCOPIC STEERING WHEEL W/ PADDLE SHIFTER / AUDIO CONTROL / BLUETOOTH AND DYNAMIC RADAR CRUISE CONTROL, SMART KEY SYSTEM, PUSH START BUTTON, AUTOMATIC HIGH BEAM 18’’LEXUS ALLOY WHEELS, POWER BACKDOOR AND MORE! !